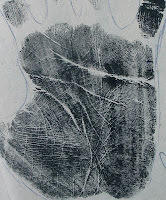 Palmistry or hand-reading does not tell the exact future as the signs and lines on our palms can change - if we change. The shapes of our fingers can also change over the years. This is in fact one of the best aspects of palmistry because it proves that you are the master of your destiny. As you change, your lines change and consequently so does the future. This busts a major myth of hand-reading – that palmistry foretells the future. And that we have a fixed destiny. It is not possible to recognize the exact profession of the person by looking at his/her hand. What is shown by the hand is the natural ability and talents of the person. And he/she may or may not be using those talents, the profession cannot be shown. Besides, there are far too many professions today to specify one as explained below. The exact profession the person is suited for cannot be shown because there are a myriad of professions today. For example, the hand may show a talent for healing others, but the person can be a medical doctor, a nurse, a house-wife, psychiatrist, counselor, or a spiritual healer and so on. Palmistry cannot tell with any accuracy the number of children that the person will have, nor their names or gender. Not about your relationships with them. In fact nothing about children can be seen from the hand. The timing of marriage cannot be told by looking at the hand. Marriage is just a piece of paper, a societal seal, and this is not shown on the hand. The hand can tell you about relationships. Usually a strong relationship can be assumed to be marriage. However, if deep intimacy does not exist between the couple, there may not be any evidence of a strong relationship or influence, but this does not mean the subject is not married. Nor does it mean that the subject is unhappy. The more the impact an union has on the life, the stronger the influence, the greater the chances of it being visible on the hand. For greater understanding of this please read the post on the myths of the marriage lines and the post on love, marriage and relationships. Minor relationships are not shown on the hand. Only those which impact the life are seen on the hand. At times intense one-sided relationships are visible because it is not the physical presence of the partner which is marked but the impact on the mind. If you want to know about compatibility then the hands of both the partners in the union need to be examined. The date of death is difficult to confirm from the hand as death is seen in different places, and is not a fixed and immutable event. It is not fated. The hand can more accurately tell you the natural vigour of the person and the general health but cannot confirm specific diseases with accuracy. A person can live well past the end of the Lifeline and die even with a strong Lifeline which goes right till the end. For more understanding on this please read this post on death and hand reading. There are no “travel” lines as such on the hand although traditional palmists believed them to be present on the Mount of Moon. These "travel lines" are simply lines which enhance the qualities of the Mount of Moon. This shows the love for travel and such people usually do travel, taking every opportunity they get. Specific journeys cannot be seen. Migration to a place far away from home, far from one's roots, can be seen although not with a hundred percent accuracy and not in all hands. There is no way to determine the distance of the journey, but people who are uprooted, or have their life dramatically change (as per their perception) usually have some indication of this on their hands. Specific events cannot be seen from the hand. For example events such as whether you will pass an examination, or whether you will win the lottery and so on - such things are not seen on the hand. However the hand can reveal whether the period you are in now is good, difficult, or indifferent. Whether it is fraught with tension and worry. Obstacles can be seen as well although their nature cannot be seen. Meanings cannot be attributed to signs like "Fish" or "Lion" or "Trident" or alphabets or other such signs as these so-called shapes are formed by chance lines. It is the meaning of each of the chance lines which has to be read - how deep and strong they are, where they begin, what they touch and where they end. Stars and crosses do have meaning, but they have to be clear and properly formed to have significance. The hand does not show change of geographic location at a certain point of time, although changes in the life in general can be seen at different points of time. These changes can be of job, career, or simply a change in the life circumstances. What specific change it is cannot be seen. At times geographical change may not have a significant impact on the psyche of the person and therefore this change will not be evident on the hand. It is not possible to tell how much a person will study (education) from his hand. However, a person’s ability to study, in terms of interest in academics, enjoyment of reading, thinking ability, as well the ability to concentrate can be determined. People with these abilities usually do study if opportunities are present. It is not possible to tell the quantity of wealth or riches or property the owner of the hand has or will have, as money is relative. A person with a hundred thousand dollars or a million rupees might think that he has a lot of money and another with the same amount might think he has very little. A man with a hut might think he has property while a man with two bungalows might think he doesn't have enough. The hand reveals the perceptions of the owner of the hand, not the actual numbers. A hand-reader cannot tell the name of the person by looking at his/her hand and palm prints, and neither can he tell the race of the person. It is possible to tell the gender of the person because one can hazard a guess by seeing if the hand is feminine or masculine. No genuine palmist will ever draw a conclusion based on just one sign on the hand or a line on the palm. Signs have to be read in combination with others. Hand-Reading is the art of interpretation. Besides, the shape of the hand, relative length and shape of the fingers as well as the mounts have to be taken into consideration before pronouncing any judgment on a hand. The hand we write with tells us our current state of mind and the passive hand tells us about the past or about dormant characteristics. That is why the passive hand (often the left in both men and women) tells us of the "destiny" that was reserved for us, and the active hand shows acquired qualities and correspondingly the destiny we carve out for ourselves. Hand-Reading does not reveal the same information about every person, particularly when it comes to reading the lines on the palm. Some people have more lines than others because events impact them more. The number of lines is related to a person's sensitivity. Lines are formed because of the connection with the brain and nervous system. It is not possible for anyone to teach palmistry or hand reading in a few days or even a few months. Hand Reading takes years to master. It is all about practice. It certainly cannot be taught online as the feel of the palm, the texture of the palmar skin, the flexibility of fingers, the thickness and thinness of lines and size of the Mounts are important indicators that cannot be taught online. Only an experienced palmist will be able to recognize these aspects by looking at photographs. 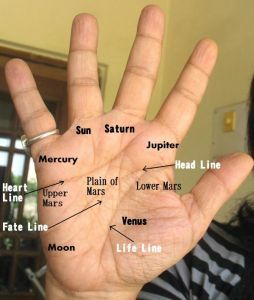 Palmistry has nothing to do with Astrology, notwithstanding the fact that the names of the mounts and fingers are based on the planets. These names are simply just that... convenient names which were set by early palmists. Palms cannot be read in conjunction with astrological charts as they are two separate streams. Hand-Reading does not involve any psychic ability and has nothing to do with the supernatural or paranormal. It is purely a study of the lines and shape of the hand. Hands can tell you the kind of person you are in an objective manner and the knowledge of the Self is the beginning of wisdom. In other words, self-awareness is the path to wisdom. Inaccurate self evaluation can lead to a lot of unhappiness and wrong decisions. Hand Reading can tell you broadly about the major trends of the past and at times the future. For example, the good and bad periods. Also, a way to avoid future problems can be suggested based on the character analysis. Hand reading can give you self-awareness but the actual work has to be done by you. It is possible to see future trends from the lines on the palm, whether they are about obstacles or good, productive periods, or periods of poor health, all assuming that a sufficient number of lines are present. Specific events cannot be seen. The hand can reveal the natural health of the person. But when it comes to specific health issues, it is sometimes possible to tell whether it is genetic but the exact health problem cannot be diagnosed with accuracy. For that a medical doctor is the best judge. It is possible to tell whether the person will get satisfaction from the amount of money and success he has and whether he or she will fulfill her/her dreams. And by helping making the person self aware the person can improve his/her destiny. The hand can explain the personality issues that could affect a happy relationship. The study of the fingerprints as well as the hand helps here. Checking to see whether two people are compatible is possible. The hands of both the partners can be compared and the hand reader can give an indication as to the difficulties they may face. Through hand reading one can get career guidance. Inherited and developed raw abilities can be seen. A hand shows which qualities and talents are developing, and which lie dormant. This is more accurate than an aptitude test because aptitude tests simply measure knowledge and skill while the hand shows natural ability. The hand cannot show for example computer skills, but it can show logic, and reasoning abilities, the ability to concentrate etc. The hand also reveals inclination, and this is very important, as it prevents one from selecting one's career based on one's 'marks' in a particular subject. BUT OF WHAT USE IS HAND READING IF IT CANNOT TELL THE FUTURE? Our ego prevents us from knowing who we are. We may all feel that we know ourselves, but the truth is that we often tend to look at our negative traits in a rosy manner. Thales, one of the seven sages of Greece, said: "The most difficult thing is to know yourself." Hand reading can help get you an objective look into yourself. But the person who has to work to improve is only you yourself. As one negative trait can impact one’s whole future and one’s relationships, understanding ourselves is important. If it is possible to change this one trait, then why not try? And people will not change unless they are convinced that this trait actually belongs to them. The quality of rashness for example can lead to taking undue risks and future financial or career failure. Weak will power can lead to an inability to focus on any one activity, and yes it is possible to increase one’s will power. Greed can lead one to leave a stable job and venture into an abyss or lack of confidence can make one afraid to leave an unfulfilling and stagnant career. The lack of a communication ability can also lead to career failure. Lack of self esteem or lack of focus can lead to inability to take decisions, again leading to difficulties. Unfortunately many people do not want to admit that they have less will power, or they are rash, or they are arrogant, or they are fickle…and so head towards a life they do not really want. Recognition is the first step towards improving the future. And it is never too late. Life keeps on providing opportunities but if one keeps reacting in a knee-jerk manner the result will be the same. Hand Reading can also help you in select the best career. It is not just about academic performance and skills, but also natural abilities and potential, temperament and inclination. For example a calculating and logical mind may be excellent if you are dealing with numbers, not people. Palmistry can be of some help if you are having relationship problems. It is possible to see why there are clashes. How to rectify them does not lie in the realm of palmistry, but advise can be given. The hands of both the partners need to be examined for this. Palmistry does give a few indications about the future...based on who you are today. If it shows success for example, it shows that you will be successful if you continue doing what you are doing today. If it shows failure, it means that you will fail if you continue what you are doing today. This means that you can change, take life in your hands and control your future. General trends of the past and future can be seen - the good periods, the difficult periods, and obstacles. (A duplicate of this post can be found here). Related Reading on this blog: Can Palmistry predict future events? Or check out the Testimonials page. This ia very honest comment on what Palmistry can and cannot do. Thanks Prerna. 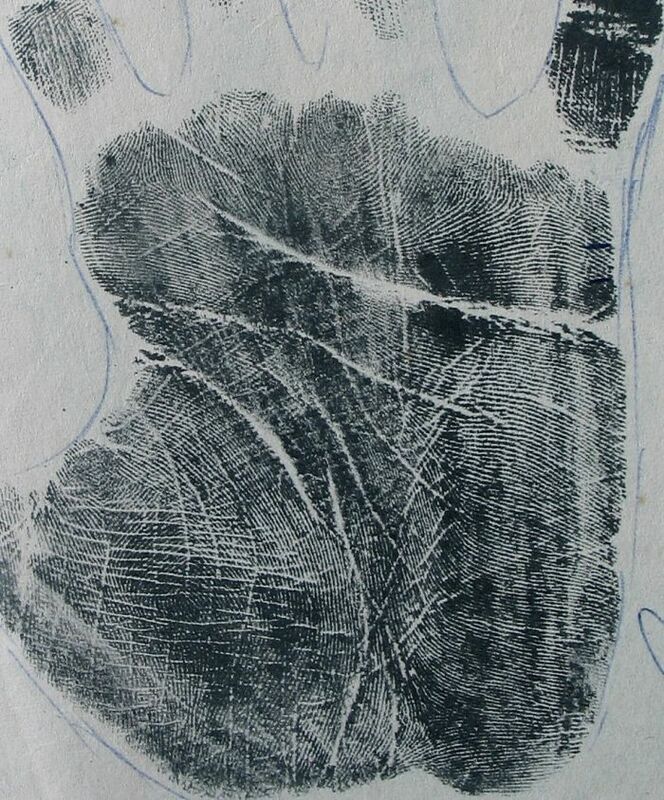 If more palmists were honest, today palmistry would have got the authenticity that it deserves. This is a fantastic science, given to us by God, to help us in this life. Unfortunately, because people demand more, palmists give it to them. That is the biggest mistake. Restraint is the word when it comes to reading hands. This is because you have a fairly strong mind Vishesh. Many people do not,and thus cannot keep hand readings in perspective and thus can get disturbed, and this happens more if a person tells them of some future which may never happen! I have found some people are actually afraid of palmistry, as if it is some kind of mystical thing! Welcome Prateek and thanks. Yes its true that I have not seen any Indian blog on this subject. Reading hands just from the shape of the hand is very difficult and I guess that is why. Thanks so much for this post. It cleared up a lot of questions I had about palmistry.